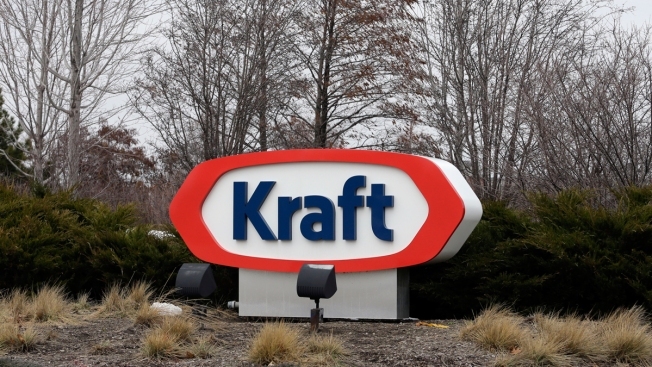 The Kraft logo appears outside of the headquarters on Wednesday, March 25, 2015, in Northfield, Ill.
Kraft Heinz disclosed an investigation by federal regulators and will slash the value of its Oscar Mayer and Kraft brands by $15.4 billion. Shares plunged 26 percent at the opening bell Friday, the company's biggest single-day decline, after posting a stunning $12.6 billion loss for the fourth quarter. Kraft Heinz divulged the receipt of a subpoena in October from the U.S. Securities and Exchange Commission related to its procurement operations. Those operations handle interactions with outside suppliers. The company said that it is fully cooperating with the SEC. Details of the investigation emerged in the company's fourth-quarter earnings report late Thursday. Upon receiving the SEC request for documents, Kraft Heinz launched its own investigation and that resulted in a $25 million charge to account for higher costs and expenses that should have been accounted for previously. The Pittsburgh company said that it is making improvements to its internal controls and taking other actions to prevent similar mistakes going forward. The nearly $13 billion loss in the most recent quarter is a devastating recognition that efforts to change the trajectory of the company have not been as successful as once thought. The loss follows an $8 billion profit in the same period last year. Kraft Heinz and other food makers that dominated grocery shelves for a good portion of the last century have been whipsawed by a seismic shift in what consumers want. Families, particularly in the U.S., have pivoted sharply away from processed foods and toward more simple and fresh ingredients. That has clashed directly with some of Kraft Heinz' most well-known brands like Jell-O and Kool-Aid and Oscar Mayer hot dogs. Kraft Heinz has also continued to face growing pains since its 2015 tie up, which was engineered by Warren Buffett's Berkshire Hathaway and 3G Capital, the Brazilian investment firm with a history of taking over companies and aggressively cutting costs. The value of Berkshire Hathaway's holdings in Kraft Heinz stock declined by about $4 billion Friday in the sell-off. It has cut costs aggressively, but it appears that the effect has not been what was expected. "We were overly optimistic on delivering savings that did not materialize by year end," said CEO Bernardo Vieira Hees "For that, we take full responsibility." The company slashed its dividend by 36 percent Thursday to raise cash for what it anticipates will be consolidation in the industry. With the billions in charges, the investigation and a dividend cut, the first of what will likely be a wave of downgrades on the company stock began to roll in Friday. Stifel analyst Christopher Growe said that in 2019, Kraft Heinz will face rising costs as well as a strong dollar that can cut into profit. He stripped his buy rating from the company's stock. The dividend cut was most worrisome to Growe. He doesn't believe the company is in a strong position for industry consolidation because, as Chief Financial Officer David Knopf said Thursday, Kraft Heinz is looking to sell of more brands. JPMorgan analyst Ken Goldman said the entire strategy of 3G Capital to seek growth through cost cuts is now questionable. "Investors for years have asked if 3G's extreme belt-tightening model ultimately would result in brand equity erosion," Goldman wrote. We think the answer arguably came yesterday in the form of a $15 billion intangible asset write-down for the Kraft and Oscar Mayer brands." Wall Street was doing just that Friday. Shares fell $12.62, to $35.56, when trading opened. Others like Kraft Heinz, including General Mills Inc. and Campbell Soup Co., plunged as well.